Winter Home Selling Woes Be Gone! Winter Home Selling Woes Be Gone!!! Winter may be settling in for the rest of the country, but southern Florida remains nice and warm with a hot real estate market. Even so, there are a few things you can do to make your property stand out throughout the season. Price it right. Contrary to popular belief, it’s not necessarily better to price your house low in hopes of a quick sale. 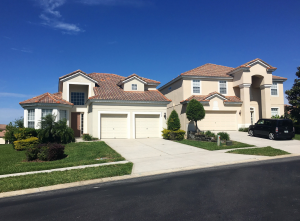 The Cape Coral area is fairly competitive anyway, with an average sale price of around $230,000, or $137 per square foot, which has increased more than 3 percent since last year. Putting a price tag on your home considerably higher or lower than comparable homes can raise tons of questions. A buyer may look at your house as possibly needing more work than the competitor next door that’s $10,000 more expensive. Style for the season. Even if the weather’s warm, give your buyers a reason to celebrate the season with a tasteful and stylish display. Start by adding a touch of color; for example, a welcoming scarecrow in the fall or a bright red poinsettia on the porch come Christmas. Quicken Loans also recommends adding a coat of paint on the door to make the entryway look fresh and clean. This tutorial from the Homemade Interest blog offers practical advice on how to paint an exterior door for fall. Let there be light. The good news is that it’s still warm out. The bad news is that the sun thinks it’s in the witness protection program after 5 PM. If you have evening viewers, make sure your home is well lit on the inside and Floodlights are an excellent way to highlight your home from the street. The interior should feature high-wattage light bulbs and strategically-placed mirrors in order to reflect as much light as possible. Kick your appeal to the curb. Your home’s curb appeal is one of the most important factors when it comes to enticing a buyer upon arrival. The entire exterior should be welcoming. This will include having a neat and tidy lawn, eliminating toys and other trinkets from the driveway, and making sure your masonry work is up to date and crack-free. If there are small projects you’ve been meaning to get around to, now is the perfect time, since buyers will scrutinize every imperfection. Real Simple’s suggestion to add a fire pit to the backyard is a stroke of genius and a simple home improvement project that your home’s future owners will appreciate. Keep it clean. This applies no matter what time of year you’re putting the house on the market. Keeping your home clean is the single most important thing you can do to impress your home-buying guests. After all, if it’s dirty, smelly, or cluttered, no one is going to want to stick around long enough to pretend they are already home. No time to clean? Hiring a professional house cleaner for a one-time service costs most folks in Cape Coral an average of only $187. Despite a slight slowdown in buyer activity during the winter, there are still plenty of reasons to keep your agent on speed dial through the New Year. Most importantly, even though there are fewer buyers, the ones who are perusing properties are the ones who are serious about making a purchase. Further, other sellers have been scared into waiting until the spring when the school year has ended, meaning you have less competition. These two points can work together to make your home-selling experience faster and less stressful than if you wait. There’s no reason to put your life on pause for fear of getting stuck in your current home. It may take a little more work on your part, but getting your house ready for the market is important. Pay attention to curb appeal, lighting, and cleanliness, and you’ll be out the door and on your way before winter weather can catch up. Need more tips on getting your property sold quickly? You may want to consider the 3 things to fix before selling your home for quick ideas to set your house apart from the competition.